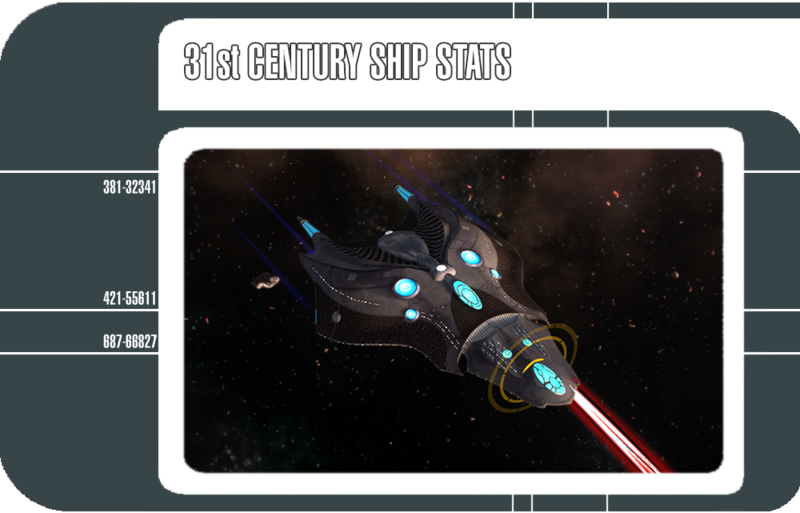 Today’s blog covers the amazing 31st Century Temporal Starships that will be made available with our 3rd expansion Agents of Yesterday. Unlike the 23rd and 26th Century Temporal Starships, these sleek, futuristic Tier 6 vessels can be used by players of any faction. Like the 26th Century starships, these ships also have a Commander Temporal Operative Specialist Bridge Officer seat and access to the Molecular Reconstruction mechanic. In this blog, we’ll go into great detail on each ship’s stats in addition to reiterating how the Molecular Reconstruction Mechanic works. While equipped with cutting-edge scientific technology, the Eternal-class was designed to fulfill a number of roles in the field. Built to operate alone on the frontier or as part of a fleet, the Eternal is a versatile part of 31st century Starfleet. This starship features a Commander Science/Temporal Operative bridge officer station and a Lieutenant Tactical/Temporal Operative bridge officer station. This starship has a single hangar bay equipped with Epoch Fighters. These light craft are equipped with Antiproton Beam Arrays and Chroniton Torpedo Launchers. This starship features a Commander Engineering/Temporal Operative bridge officer station and a Lieutenant Universal/Temporal Operative bridge officer station. The Ouroboros Raider from the future puts fear into the hearts of her enemies. 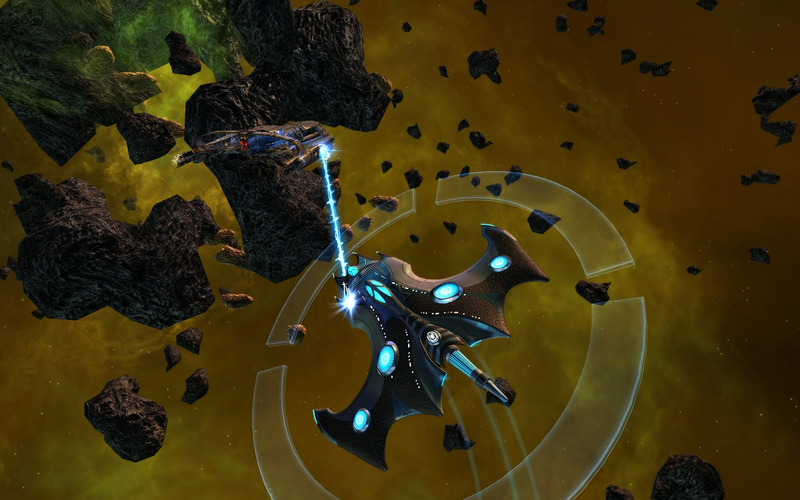 An Ouroboros brings potent weaponry and tactical systems to the fight in whatever era she's deployed in, making the raider a valuable asset in the Temporal Cold War. This starship features a Commander Universal/Temporal Operative bridge officer station and a Lieutenant Universal/Temporal Operative bridge officer station. The Temporal Multi-Mission Science Vessel comes equipped with the Causal Anchor universal console. While this console is equipped your starship is capable of forcefully re-aligning any local anomalies in the timestream. This causes a pair of temporal anomalies to appear near your target. These anomalies will slowly move toward your target's location at the time of activating this ability. 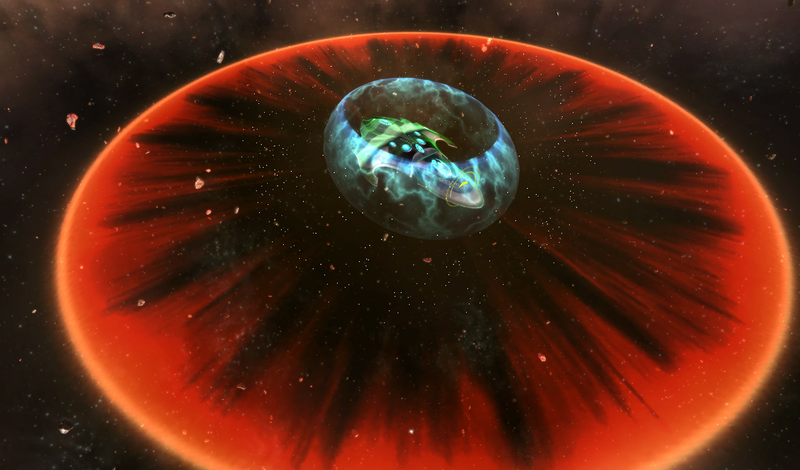 Any foe that comes in contact with either anomaly will suffer physical damage, have power drained and have their flight speed reduced and be pulled toward the anomaly. The strength of each anomaly grows as they approach one another. Once they come into contact with one another, the two anomalies will cause a small shockwave that will damage all nearby enemies. This console also provides a passive bonus to Exotic Damage and Exotic Damage Critical Chance. This console may only be equipped on 31st Century Temporal starships, but may be slotted in any console slot. The Temporal Dreadnought Cruiser comes equipped with the Chronotachyon Capacitor universal console. When this ability is activated, your starship will draw the attention of nearby foes, you will recover hull hitpoints and shield hitpoints each time you are hit by directed energy weapons and you will gain a stack of Chronotachyon Capacitance. After a short time, this effect will end and you will gain a short duration buff to Directed Energy Damage, Critical Hit Chance and Critical Severity based on the number of stacks of Chronotachyon Capacitance. This console also provides a passive bonus to the Hull Capacity and Engineering Readiness skills. 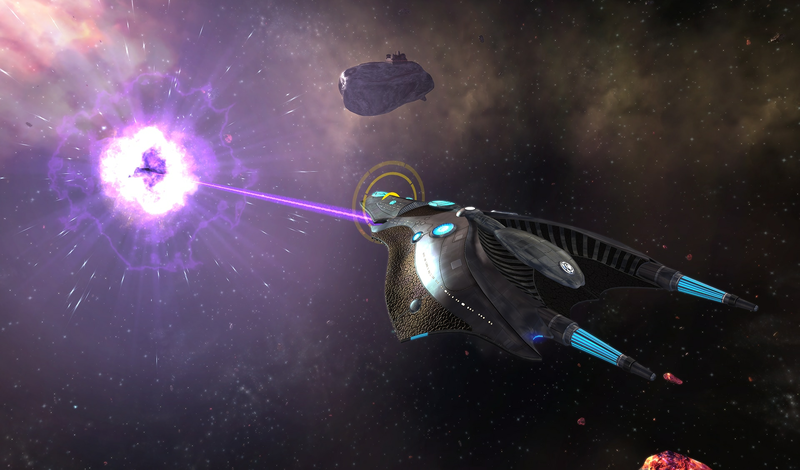 The Temporal Raider comes equipped with the Tactical System Stabilizer universal console. While this console is equipped, your starship is capable of activating an ability that will overcharge your starship's weapon systems and tactical computers for a short time. While active, your weapon cycle haste is dramatically increased and your bridge officer recharge times are reduced slightly every few seconds. This console also provides a passive bonus to Directed Energy Weapon Damage and Tactical Readiness Skill. The three consoles above belong to the 31st Century Temporal Technologies item set. Equipping 2 or more of the above consoles will grant set bonuses. After reaching level 5 in your Temporal Multi-Mission Science Vessel T6's Starship Mastery, you will unlock the Particle Feedback Loop Starship Trait. While this trait is slotted using an Exotic Damage ability will provide a small bonus to Armor Penetration. This bonus stacks up to 3 times. After reaching level 5 in your Temporal Dreadnought Cruiser T6's Starship Mastery, you will unlock the Exotic Modulation Starship Trait. While this trait is slotted, using Directed Energy Modulation or any Temporal Operative ability will provide a large boost to Exotic Damage for a short time. After reaching level 5 in your Temporal Raider T6's Starship Mastery, you will unlock the Regroup Starship Trait. While this trait is slotted, your Attack Pattern Bridge Officer abilities will reduce the recharge time on Engineering and Temporal Operative Bridge Officer abilities. Below is an outline of availability, abilities and equipment found on the Epoch Fighter Hangar Pets. These fighters are unlocked in their stores listed below as long as you own the Temporal Multi-Mission Science Vessel [T6] or the Temporal Dreadnought Cruiser [T6]. Availability: EC Store, comes equipped on the Temporal Multi-Mission Science Vessel [T6] and Temporal Dreadnought Cruiser [T6] by default.